Schul-, Uni- & Ausbildungsstreik am 18.1.2019, bundes…-weit, in über 50 Städten www.350.org. Wann und wo genau was geplant ist, zeigt eine Übersicht. Es sind Schülerinnen und Schüler, die für mehr Klimaschutz streiken. 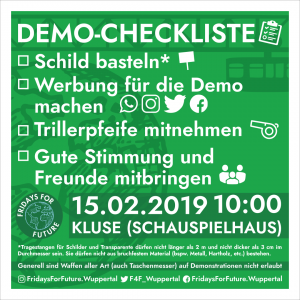 Damit sind sie Teil der weltweiten Bewegung Fridays for Future. Infos zur Vernetzung in deiner Stadt findest du hier. Der Klimawandel ist eine reale Bedrohung für unsere Zukunft. Insbesondere die Jugendlichen werden Leidtragende des Klimawandels sein. Gleichzeitig sind wir alle gemeinsam die letzte Generation, die eine Klimawandel-Katastrophe noch verhindern kann. 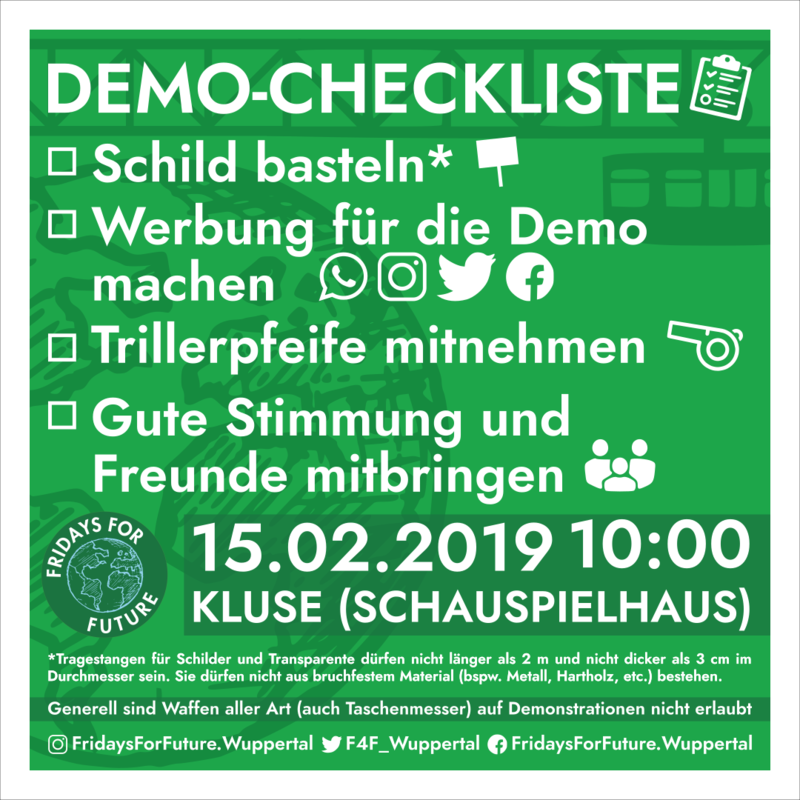 Students from Fridays for Future Deutschland are calling for more school strikes for the upcoming Fridays. And this time, they are going big. 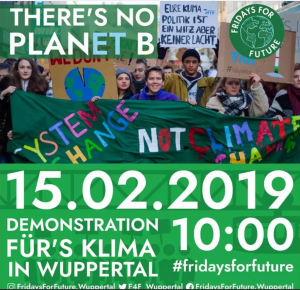 Please share this video (in German) by Fridays for Future so that more people hear about it. 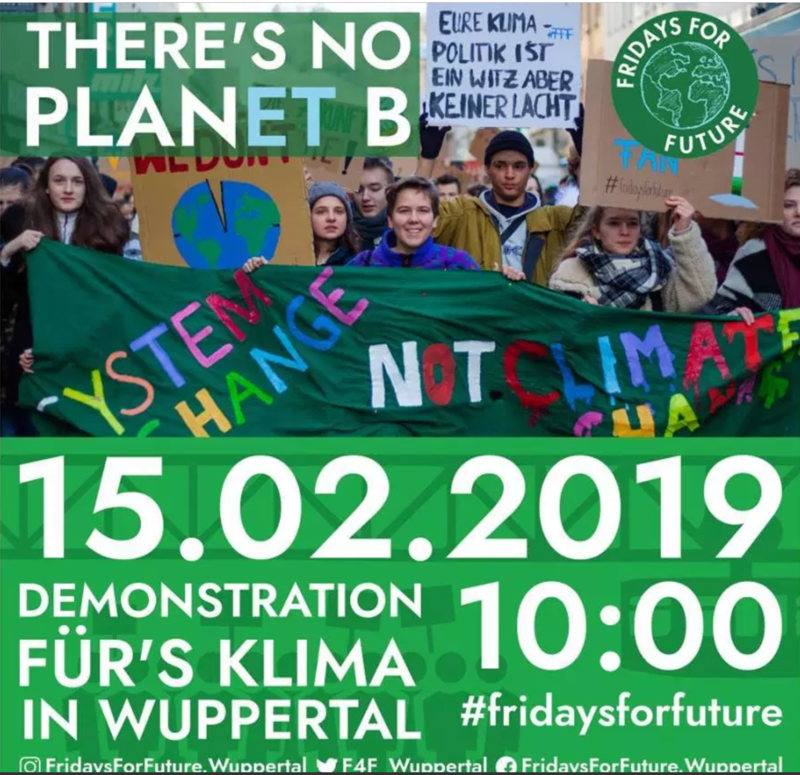 • On Friday 18 January 2019, thousands of students and climate activists will protest in more than 40 locations (link in German) for climate action that is both ambitious and fair to future generations, which includes a fast coal phase-out. • On Friday 25 January 2019, taking place at the same time as a crucial meeting of the coal commission, a central strike will start at 12pm in front of the Federal Ministry for Economic Affairs and Energy in Berlin. This strike will directly address the members of the coal commission. More than 1000 students are expected, with students travelling to Berlin in buses from all over Germany (link in German). Show your solidarity with the young people of the world striking for the climate and share this video. 350.org baut eine weltweite Klimabewegung auf. verbinden kannst Du Dich per Facebook, uns auf Twitter folgen und verlässlicher Förderer werden, um die Bewegung stark und wachsend zu halten.